Real estate markets are always changing and ever evolving. So whether or not this near future purchase is your first, second or last, it’s incredibly important to properly set your expectations, familiarize yourself with the current market trends and gather as much pertinent information as possible to ensure this process is as simple and hassle free as possible. All of this can be accomplished during a one to two hour Buyer Orientation provided by the experienced professionals at M3 Realty Group. How your Buyers Agent works for you—There are no costs and no hidden fees to work with the Buyers Agents at M3 Realty. They are available to you any time of day, 7 days a week. All aspects of your needs, wants and criteria in a home—Verbalizing your basic needs and “must haves” versus your wants and “nice to haves” is important. This will help your Agent identify homes fresh to the market that may be of interest to you. Current inventory in MLS and how this differs from popular home search sites—Certain sites out there have great maps, and wonderful community information, but most of them only contain portions of the total for sale inventory, and may only refresh their inventory periodically. The MLS database contains ALL homes currently listed for sale. Ways in which we can optimize your exposure to as many homes as possible—Your basic criteria may be unnecessarily limiting your results. An additional search area or a reduction in number of required baths may yield double or triple the number of available homes to choose from. Exploring all your options and keeping an open mind is key. Current market environment and the forces you will be competing against—Depending on the time of year, current Real Estate Cycle, even down to individual community, other Buyer competition may be fierce or non-existent, which will ultimately determine your negotiating strategy. The home buying process from beginning to end—Understanding the basic process from beginning to end eliminates any surprises and second guessing. Knowing what’s coming next can help make the decision process easier. Costs involved with purchasing a home—Being able to budget and plan for necessary expenses will eliminate anxiety during an already stressful time. Knowing common costs can also prevent overpaying for goods or services. Finding the best mortgage loan to fit your needs—Some mortgage lenders can only offer a limited number of products, and may not clue you in to other alternatives that could either save you money or increasing your purchasing power while maintaining the same monthly payment. Address any immediate questions you may have—All Buyers have them. The Agents at M3 Realty asked them at one point in time too. No question is a dumb question. Ask away! 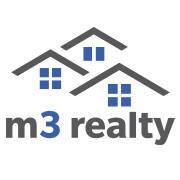 Ultimately our purpose at M3 Realty is to provide a world class experience to all our clients during their home buying process. We do this by asking deep and personal questions, knowing the current inventory and market trends inside and out and always being available as a guide and resource. By setting realistic expectations, we are able to prepare you for success in the most important purchase of your life. When your time is right, come meet with us! Thanks for the tips for buying a good property. My wife and I are looking to buy soon, so this is especially helpful. We definitely don’t want to run into “probable problems”! I’ll be sure to look into hiring a buyer’s agent, like you mentioned here.